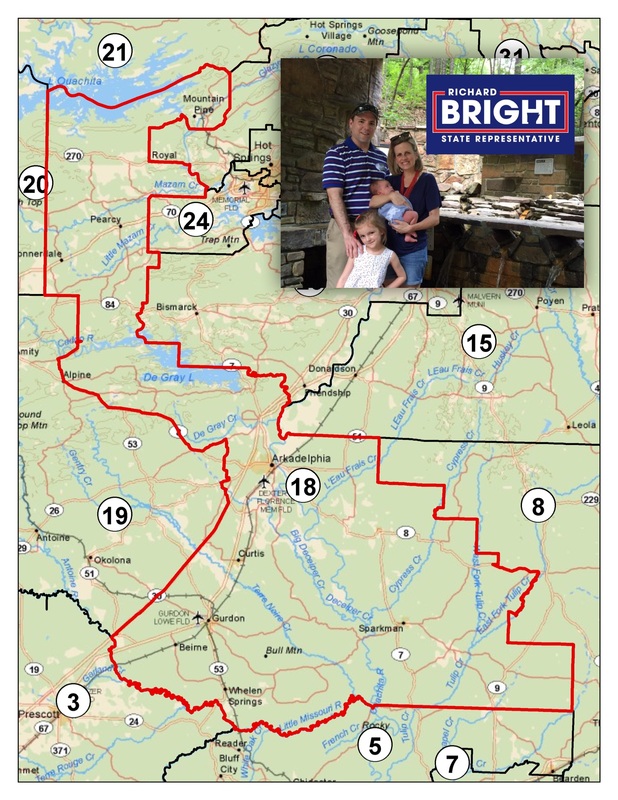 Click HERE for a printable (PDF) version of our District map. Click HERE to see your Ballot and confirm your District. Stand with Richard to help Arkansas and the 18th District be the best it can possibly be!